Bar Owner vs. Business Owner: Which One Are You? If that IS what you’re thinking, it’s ok. Don’t feel bad or weird or anything. You’re not alone. Before starting Bar Patrol I probably would have been standing on the same side of the room as you…that is if there was a vote in which opposing views were asked to stand on the opposite side of the room from each other. However, after meeting and conversing with dozens of bar owners, I have since changed my viewpoint. The bar world is unlike any other industry, which is to say that the bar owners I have met range from 1) the successful business owner who is experienced in the bar industry and fantastic at running a bar; 2) the successful real estate mogul who decided it would be fun to own a bar but is basically nothing more than the financial contributor; and 3) the owner who works in the trenches and wears a grimy wife-beater while pouring you a shot with a cigarette dangles from his cracked lips. Or somewhere in between. In other words, the chasm is wide and varied in the bar owner department. Like breeds of dogs. The phrase with the most relevance here is “attempt to profit from the successful operations”. Assuming that these 7 words make up the heart and soul of what defines a business owner, most of the bar owners I meet, are not business owners at all, because they are taking little or no action to move toward the goal of making a profit or running a successful operation. Instead, they are bar owners. Party facilitators. They pour shots and have a few drinks themselves because they never want the party to end. Or they’re simply never there because they expect their manager to do the job even though they never made their expectation clear as to what the standards should be. In short, rarely do you find them ensuring the “successful operations of the company”. That’s true. The profit margins are good. Until you give away drinks and then that margin shrinks and you go out of business, or you barely hang-on, year after year, like that corroded muffler you see dragging along the asphalt, spraying sparks, precariously hanging from the under-carriage of the car, block after block. Eventually it’s going to fall off and slide into the gutter. The bar and the muffler. 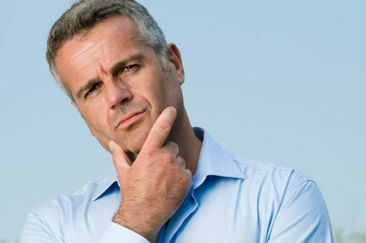 So specifically, what’s the difference between a Bar Owner and a Business Owner? Let’s take a little test and see where you fall (don’t worry, the only grade you will receive is your P & L statement at the end of the month). We could also use “Bar Manager vs. Business Manager” interchangeably as both owner and manager often have overlapping roles in the bar/restaurant world and these characteristics apply to both. 1. Bar Owners manage. Business Owners micro-manage. If you don’t like micro-managing, you need to go work at Ross and hand out those little numbers for how many articles of clothing people have before they go try them on. There is no such thing as just “managing”. There’s only micro-managing, and it is going on all the time in any business that is successful. It means correcting every area where something isn’t right until your staff is fully trained to do it themselves, and even after they’re trained, you have to keep correcting them and enforcing the training or they will slack and every time the staff slacks, the business starts a steady decline. 2. Business Owners look for marketing opportunities. Bar Owners hope for the best. In any business, acquiring customers is the #1 priority. Without demand, your supply is worthless and your business dries up. Business Owners are always looking for ways to pack their seats, including promotions, social media marketing (especially Facebook targeting) and training the staff to give great customer service so that those acquired customers come back. Bar owners lean on the end of the bar and complain how slow it is. Then they go out back and smoke and text their girlfriend to ask if she wants Chipotle later. 3. Business Owners hire winners. Bar Owners hire their friends or whoever shows up to an interview. You can run promotions and market until you’re blue in the balls, but your #1 marketing strategy is your staff. As they say in business, it’s a lot cheaper to keep a customer than to find new ones, and your staff is what will keep them coming back again, with attentive service and rockstar personalities. 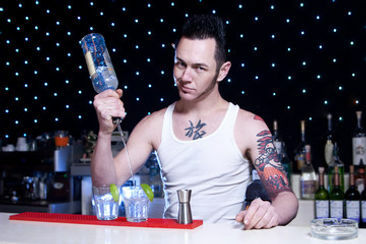 If you need some help with this, check out 10 Interview Questions for Hiring a Rockstar Bartender/Server. Hiring friends because they are your drinking buddy or family is a BAD idea and will eventually lead to your downfall. 4. Bar Owners stay stuck in the stone ages. Business Owners use new technology to save time and money. It’s staggering to me how many bars out there still use a cash register and won’t invest in a POS system. These are usually dive bars that have owners who are too cool to make any modern changes that might help them succeed. They’re old school and they’re going to stay that way because goddammit, nobody tells them what to do. In the meantime, they do zero marketing or promotions to drive new traffic, they have no website, and the office computer is so old it has an orange sticker on the side of the monitor that says “Y2K Ready”. 5. Business Owners are business-minded. Bar Owners are selfish-minded. The bar becomes an emotional tie. An extension of them. It’s the “This is my baby,” syndrome”, which can be bad when you need help changing direction but you don’t allow anyone in because your ego is involved. Business Owners are able separate themselves from the emotions and look at what needs to be done. They have vision. They have courage. And most important, they hire people to help in areas they aren’t experts in so the business will thrive. They do things for the good of the business, not for the good of their ego. That’s called being a professional business owner. Meanwhile, the Bar Owner does what makes him feel good personally. He drinks his own booze, brags to everyone that he is the owner, and then sits down next to girls and awkwardly touches them on the lower back, causing a quick exits and a bunch of dudes standing around wondering where all the ladies are. So do something for me: march yourself into the bathroom, look yourself in the mirror, and ask that person what type of owner/manager he/she is. Are you business-minded? Are you a leader? Or do you just go through the motions? Are you and your bar headed for a flat-line ending, like one of those heart monitors that beeps intermittently and then suddenly there’s just one looooooong beep as things fade away? Don’t wait for that to happen. Resurrect your bar, or more importantly, the passion for your bar, and start viewing it as a business. And then start running it like a business person.